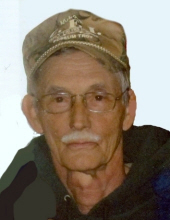 Benny B. Anglin, age 67, of Eddyville, passed away Sunday, April 14, 2019 at the Ray & Kay Eckstein Hospice Care Center in Paducah. Benny was of the Baptist Faith and was a retired contractor and cabinet maker. He is survived by his wife, Judith Young Anglin of Eddyville; one sister, Joann Campbell of Paducah; three nieces and three nephews. He was preceded in death by his parents, Frank and Lydia Gaines Anglin; two brothers, Wendell Anglin and Bernard Anglin. A memorial service will be held Sunday, April 21, 2019 at 5:00 PM at Eddyville Second Baptist Church with Bro. Mac Walls and Bro Ronnie Fox officiating. Expressions of sympathy may be made to Eddyville Second Baptist Church, 774 3305 Riley Road, Eddyville, KY 42038. "Email Address" would like to share the life celebration of Benny B. Anglin. Click on the "link" to go to share a favorite memory or leave a condolence message for the family.